The Nexen Tire WH62 (left) and the WH62 (right). Nexen Tire America, Inc.has updated its winter tire line with the redesigned WinGuard WinSpike WH62 for passenger vehicles and the WinGuard WinSpike WS62 for CUV/SUV vehicles. The tires now feature improved performance in snowy/icy conditions and expanded size lineups to meet more of the market demands, Nexen says. Redeveloped from the ground up, the two new WinGuard WinSpike models now deliver enhanced snow/ice performance thanks to an optimal arrangement of stud lines. The WH62 and WS62 now feature 20 stud lines instead of their predecessors’ 12. This improvement maximizes grip and minimizes stud noise, Nexen says. Braking and handling has also been improved by applying a new square-type contact patch with the road surface. This feature, combined with a new compound that offers greater flexibility at lower temperatures, ensures improved snow/ice performance, Nexen says. The 20 size additions to the WinGuard WinSpike WH62 and the WinGuard WinSpike WS62 allow the company to cover up to 85% of the U.S. winter tire market. 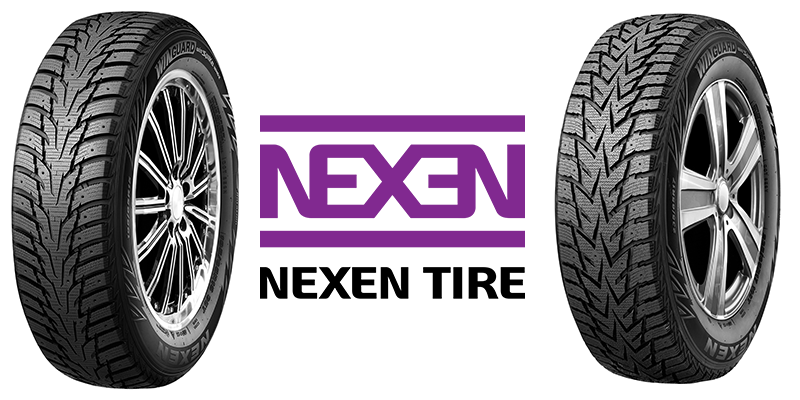 Nexen Tire is also offering 36 months of roadside assistance with the purchase of the tires. Both the WinGuard WinSpike WH62 and the WinGuard WinSpike WS62 are available for factory direct container orders now.